It sounds like Boom shakka lacka “Tikka laka, macka jukka, banana peel…….Say what? Or you may find yourself wondering, do they mean lotion like a play on potion or lution which goes with Evolution? In any case, before you’re likely to figure it out, you may just get distracted enough to hear a very long winded and drawn out voice utter “By the time me lef one meeting and reach home, is time fi lef go to another” and when you see who the voice is coming from, you will totally understand why the statement was followed by peals of laughter from the excited tots and tweens. 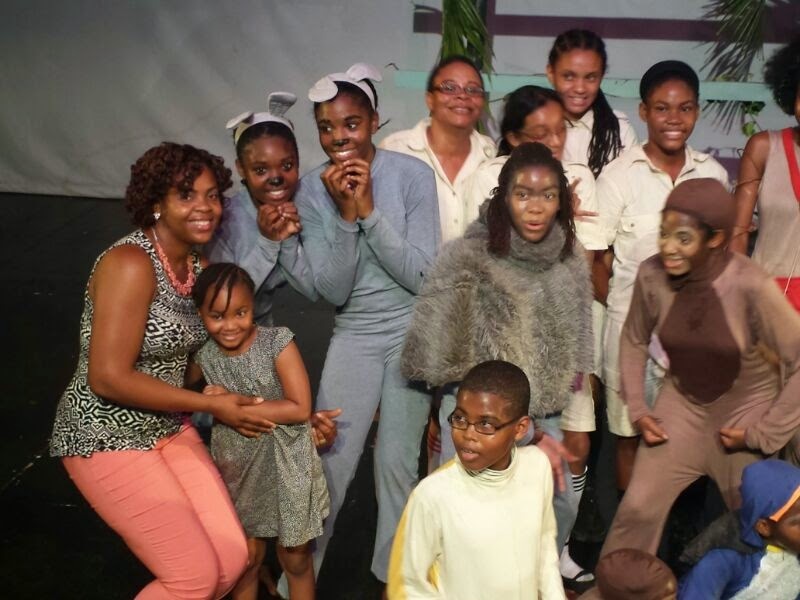 such was the case as Jamaican Mommies journeyed with the family in tow (our 5 year old included for research purposes) to the second night of Damion Radcliffe’s Anancy Chaptaz: Monkey Bizniz on Saturday, June 1. Monkey Bizniz being the fourth episode in Radcliffe’s Anancy Chaptaz children’s theatre series. 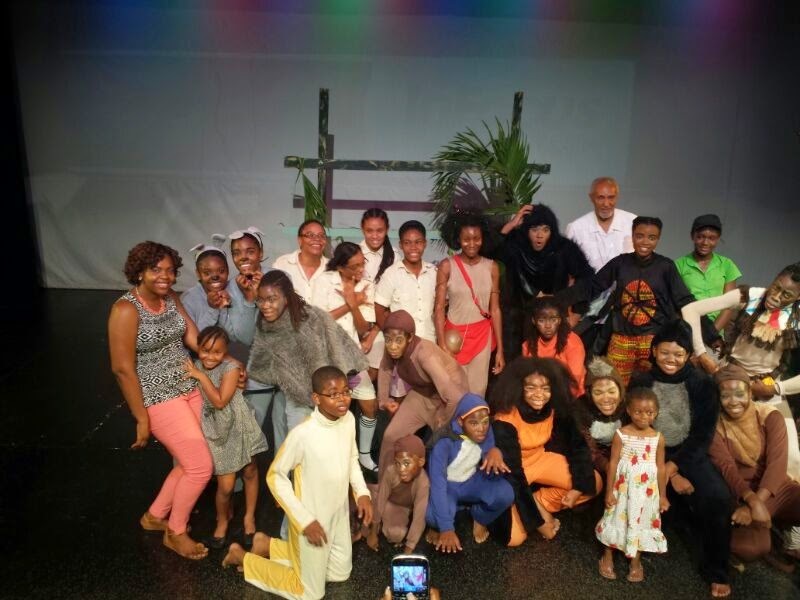 It was no monkeying around though as the 24 member cast drew you into their forest home where the monkey tribe must learn some very valuable lessons- chief among them the need for unity and loving oneself, all while pointing to Jamaican Culture and current affairs in its subtext. Refreshingly too, we see Brother Anancy of Jamaican Folklore fame taking centrestage and one cannot fully understand how thrilled we were to see this considering how many parents have all but stopped passing on the rich Anancy legacy via stories. Through a web of upbeat songs, choreography and simple yet effective set and lightning, the audience was able to connect with the obvious conflict of interests playing out on stage. This interspersed with the very jovial and captivating story teller, the hilarious rat duo, the witty brother Anancy, a sometimes vicious tribe of monkey, loads of comedy and my personal favorite character, Sluggo the slug (You just have to go to see why). To say our toddler laughed her head off is an overly inaccurate understatement (confusing right?) but that she did and more. Heartwarmingly too as the dialogue in Monkey Bizniz was complex enough for adults to get a good laugh in while reflecting on some of the deeper issues, even while it offered kids simple language so that they too could keep up with the action. Admittedly, we went in with high expectations as Damion Radcliffe, Series creator, Director and Co-writer and Sabrena McDonald, Co-writer and Production Manager of Independent Actors Movement (I AM) fame have been no strangers to success on the local theatre circuit. 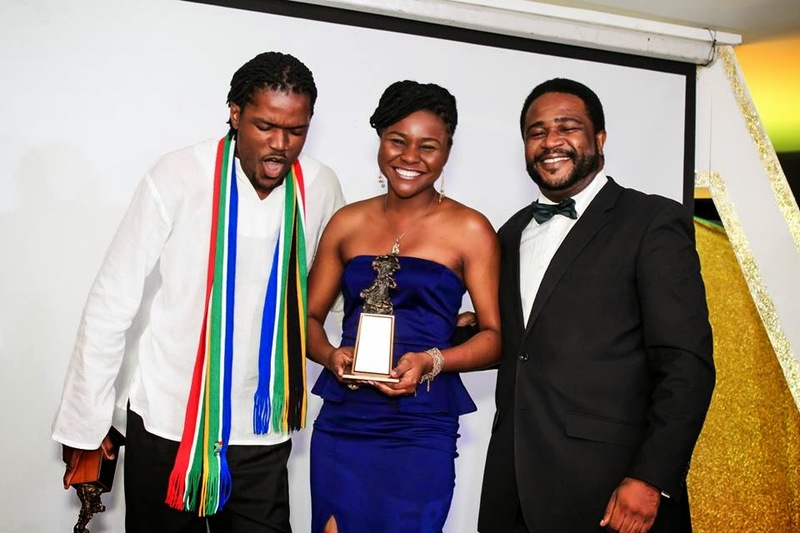 In fact, their show last year- “Winners’ Circle”, topped the local Actor Boy Awards with nine nominations and 5 wins. The two years prior also saw Anancy Chaptaz racking up numerous Actor boy awards. With Radcliffe and McDonald off stage though, we were not too sure what to expect, but we were treated to a pleasant showcase of Jamaican talent from a cast of mostly tweens and a little monkey who looks like a toddler. Make no mistakes too, the content was solid, spanning a total of 10 scenes and taking you through a range of emotions along the sad to happy spectrum. Costumes too were appropriate, as was lighting and sound effects and in the end we left the Dennis Scott theatre a satisfied trio. We were not alone too, as on exiting the venue, several children recounted their favourite parts and characters and still others (my daughter included) wanting to be on stage. With excited little squeals she kept saying “I don’t want to go yet” and “Mommy did you see when…x did y and z” and on and on she went. Four days later as I blog, she can still recall her favourite parts. For that Damion Radcliffe’s Anancy Chaptaz: Monkey Bizniz s certified family fun. It delivers on its children’s theatre moniker and was certainly worth the watch. So go on out!! What are you waiting for?! Of course when you go, let us know how it was for you. Rememember though, Monkey Bizniz has limited runs so grab your tickets early to see the show on Saturday, June 7 or Sunday June 8th. Oh and therein lies one of my two recommendations, I would’ve loved if it were at all possible to have some more shows led by a Jamaican Mommies special preview of course and secondly, the possible inclusion of family packages in the event a larger family unit wishes to attend. So my mamacitas, grab your tickets and go!! and promise to come back here and tell us who was your favourite character, what was your favourite scene and the song or many songs that you just cant get out of your head. 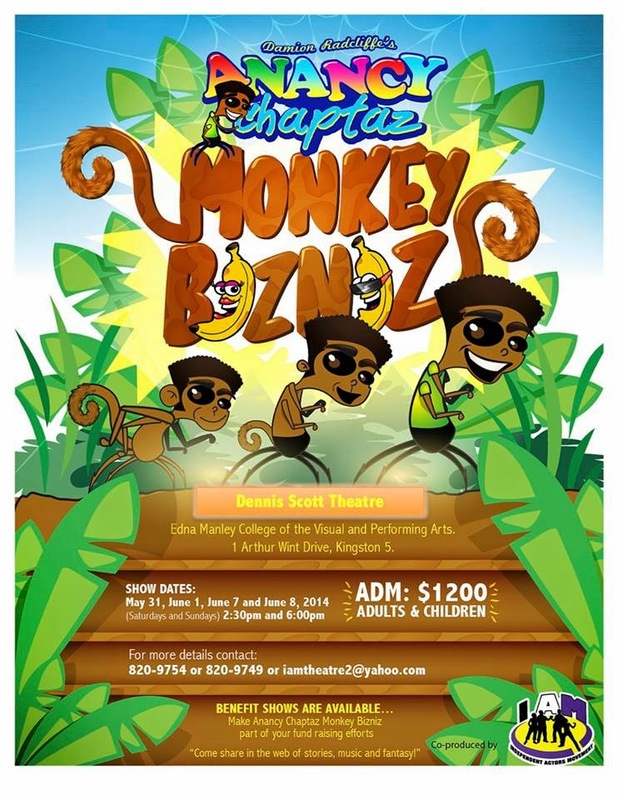 0 thought on Go Bananas with Monkey Bizniz: Family theatre Fun! Do. Go. See! !